How Much of the Internet's Bandwidth Does Netflix Use? How Much of the Internet’s Bandwidth Does Netflix Use? There are plenty of statistics that show how online streams are taking over television Online Streams Are Destroying Cable TV and These 3 Stats Prove It Online Streams Are Destroying Cable TV and These 3 Stats Prove It Online streaming services are beating the heck out of cable, satellite, and other forms of TV. Here are some mind-blowing stats that prove it. Read More , but the most damning bit of evidence is the total amount of bandwidth used by Netflix during primetime. 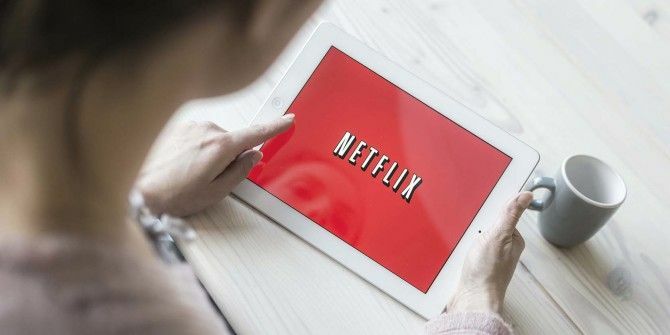 At peak hours, over 37% of all Internet traffic in North America is used to stream movies and shows from Netflix. What about all of the other streaming services, such as YouTube, Amazon, Hulu, and iTunes? As it turns out, Netflix’s traffic exceeds all of them combined. Wrap your head around this: during those same hours, YouTube only accounted for 18% of all traffic. This kind of sheds light on recent developments like T-Mobile’s move to not count Netflix as part of one’s data plan T-Mobile Allows Unlimited Netflix, And That's Bad News For All of Us T-Mobile Allows Unlimited Netflix, And That's Bad News For All of Us Allowing Netflix to stream even when you're data is maxed sounds great, doesn't it? But this could spell doom for the future of the Internet as we know it. Read More . It just goes to show why data caps make no sense Why Do Data Caps Exist and How Can You Bypass Them? Why Do Data Caps Exist and How Can You Bypass Them? ISP and mobile data caps are the bane of everyday Internet users. Why do these exist? Are there any ways you can get around them? Here's what we know. Read More from a technical perspective. After all, data isn’t a consumable resource so why put artificial limits on it? The takeaway from all of this is that we’ve finally hit the tipping point as a society. Television numbers are declining, online stream numbers are exploding, and Internet is now the primary mode of communication for nearly everyone in nearly every circumstance. Isn’t it about time you make the switch? Start with one of these awesome media streaming devices The 8 Best Devices for Streaming Movies to Your TV The 8 Best Devices for Streaming Movies to Your TV There are several ways to stream media to your TV, and deciding which way is right for you can be overwhelming. Let us help you explore what's currently available. Read More and check out these streaming services that can replace television Cut the Cord Forever With These 15 TV Streaming Channels Cut the Cord Forever With These 15 TV Streaming Channels Cable TV is in decline, as the internet provides cheap, on-demand entertainment. Here are 15 of the best TV streaming services to help you cut the cord. Read More . How often do you watch Netflix? Do you mostly watch at morning, evening, or night? Tell us about it in the comments below! Explore more about: Bandwidth, Data Usage, Netflix. 5 Sites and Apps to Find Movies & TV Shows to Watch on NetflixWhat Is the Best Way to Stream Music for Free on Android?